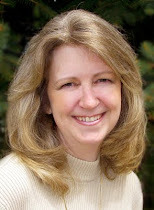 T. Lynn Adams - Author: Winner for Lair of the Serpent giveaway! Winner for Lair of the Serpent giveaway! Congratulations! 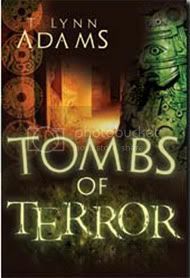 You will receive a complete Tombs of Terror series which has been optioned by Hollywood producer Kevin Buxbaum! His movies include Academy Award winning Life of Pi and Avatar. In the 3-book Jonathon Bradford encounters mummies, terrorists, and the lost tunnels of the Incas in Tombs of Terror. 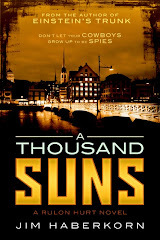 He and his friends face the Death Light, a skin walker and international archaeology thieves in The Lost Curse. 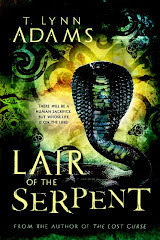 And, in the newly released Lair of the Serpent, Jonathon deals with his most dangerous challenge yet--human traffickers and the Naga in the jungles of Cambodia. 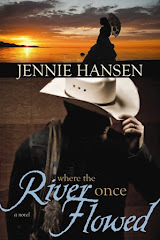 You can read all the first chapters right here, on this blog. Just click on the book covers and immerse yourself in legend and very real facts. A big thanks to everyone who entered and all the great blogs who helped promote the release of my book Lair of the Serpent!